It was my son's birthday last weekend and we traveled to New Orleans to spend a few days with him to celebrate ..... and EAT! LOVE New Orleans, the city of fabulous Southern Food! Zach, a student and a passionate "Foodie" (I think the cooking part he got from me, the eating part from his father) works part time for the Link Restaurant Group .... so he was in charge of where the celebratory meal would take place! 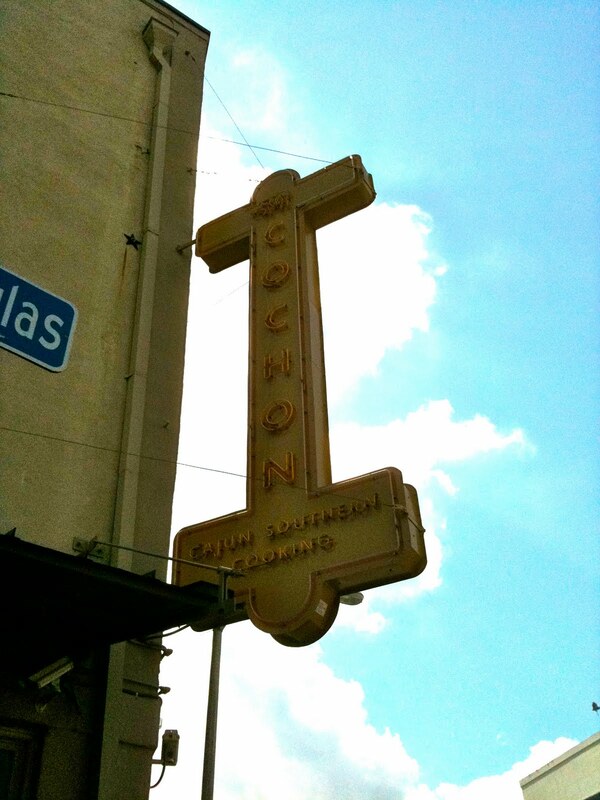 His choice, of course, was Cochon which is part of the Link Restaurant Group. 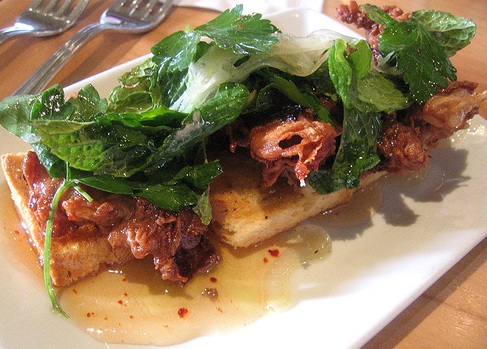 fried rabbit livers with pepper jelly toast.....not a dish that would normally roll off the tip of my native northern tongue...but I must say it was awesome The unique flavors of the pepper jelly (which they make on the premises) and the unexpected garnish and flavor of mint leaves combined with the crisp rabbit livers... I am speechless. 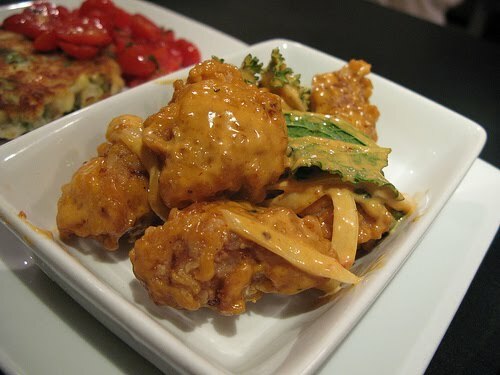 Photo courtesy of DallasFood. 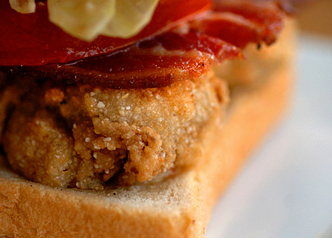 oyster and bacon sandwich.....this was the type of sandwich you ate even if you are full because the thought of not getting one of these delights again until my next trip to New Orleans was unbearable! Photo courtesy of Food and Wine. fried alligator with chili garlic aioli.......a first for me but I loved every bite! The dinner ended with one of each of their desserts for our table to share. Again each more delious than the next. We were fortunate to meet both Chefs and Co-Owners Donald Link and Stephen Stryjewski that night.... hats off to you both on capturing those amazing Louisana's Flavors and sharing with the rest of the world. Congratulations on your success! I'll be back tomorrow....wait till you see what we had for brunch next door at the Butcher Shop!